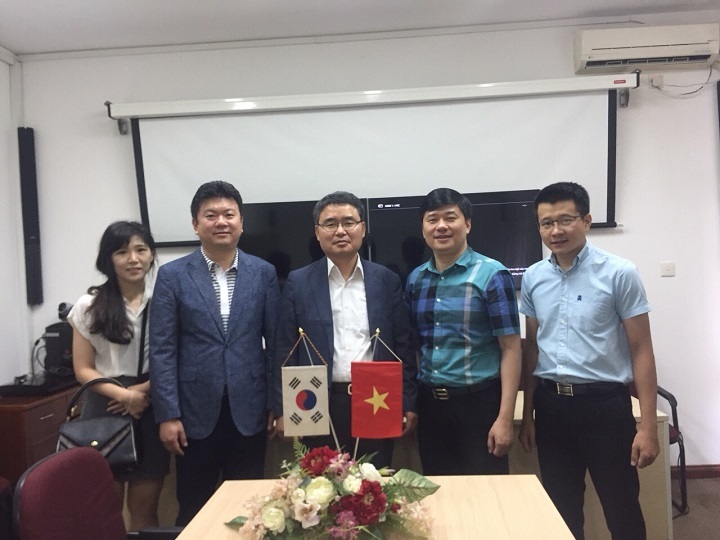 On June 1st, 2018, the President of SEJONG E&C Group paid a working visit to Consultant and Inspection Joint Stock Company of Construction Technology and Equipment – CONINCO. Attending the meeting, there were Min Kyoung Nam, President and Mr. Sam Kiyoung Kim, Vice President of SEJONG E & C. Regarding CONINCO, there were Dr. Ha Minh - General Director of the Company and Mr. Duong Trong Vinh - Director of the Center of International Cooperation and Consultancy. General Director Ha Minh expressed his pleasure to welcome the representatives of SEJONG E & C to visit and exchange works at CONINCO again. CONINCO and SEJONG E & C have built a close cooperation relationship in recent years. At present, the two companies are cooperating to implement several projects in Vietnam. Among other, it can be mentionned the project of developping soft soil improvement and environmentally friendly techniques by recycling vietnamese fly ash. After two years of research and development, the fly ash project has achieved promising results. At this meeting, President Min Kyoung Nam also proposed to send two Korean students from Woosung University to CONINCO for internship from August 2018. In the spirit of cooperation, General Director Ha Minh expressed that CONINCO always ready to support the cooperation with SEJONG E & C in all aspects and hopes to expand this cooperation in the future.